In July 2012 I left my home country Austria and started an amazing seven months trip around the world. I travelled through Central America, Fiji, New Zealand and got a little taste of Australia. After nearly six months I arrived in Indonesia where I wanted to do some diving and explore the beautiful islands. Soon I should go home and study for one term at a university in the Netherlands. But it was probably my destiny that I couldn’t subscribe for the courses I planned to. So what should I do now? Go home, finish my Master’s degree and work in an office again? I knew I would be dreaming all the time of crystal clear waters, white sandy beaches and tropical weather? No, I couldn’t go home. During my whole journey, I got such a big perspective of the world, that I thought I should go on with experiencing other cultures, stay for seven more months in South East Asia and do my PADI Dive Master course somewhere there. 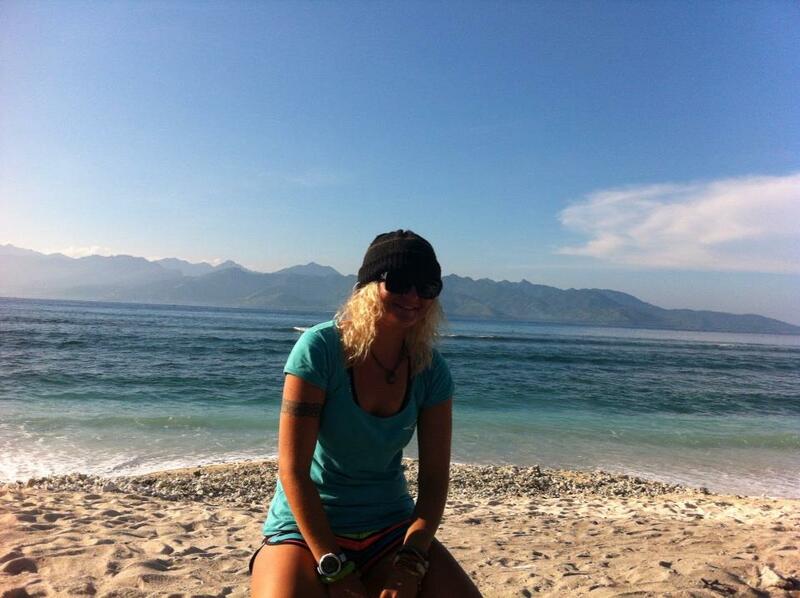 Friends in Australia told my about a place in Indonesia – called Gili Trawangan – and that I would definitely like it. My plan was to stay for a week or two to celebrate New Year’s Eve, enjoy the island life and explore the beautiful dive sites around the Gili islands. 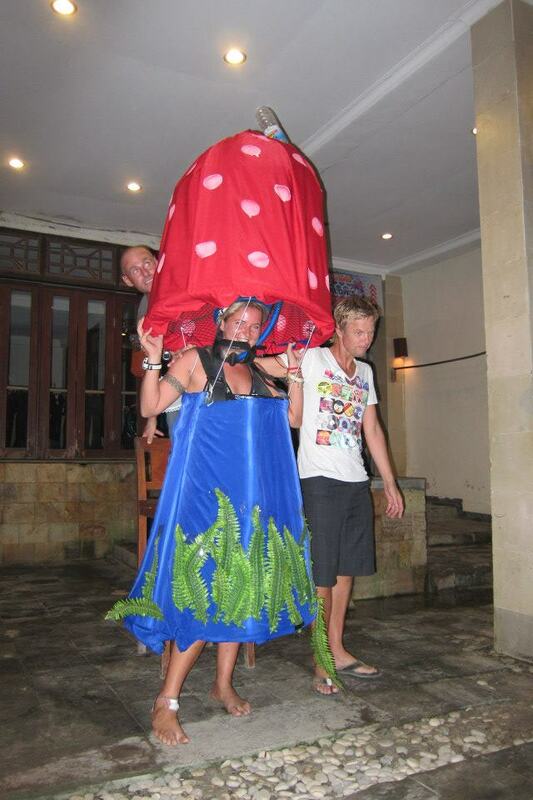 But as things so often go differently than you think they will, and I decided to stay and do my Dive Master in Gili T.
Before I could start I first had to become a Rescue Diver. But with which dive school? 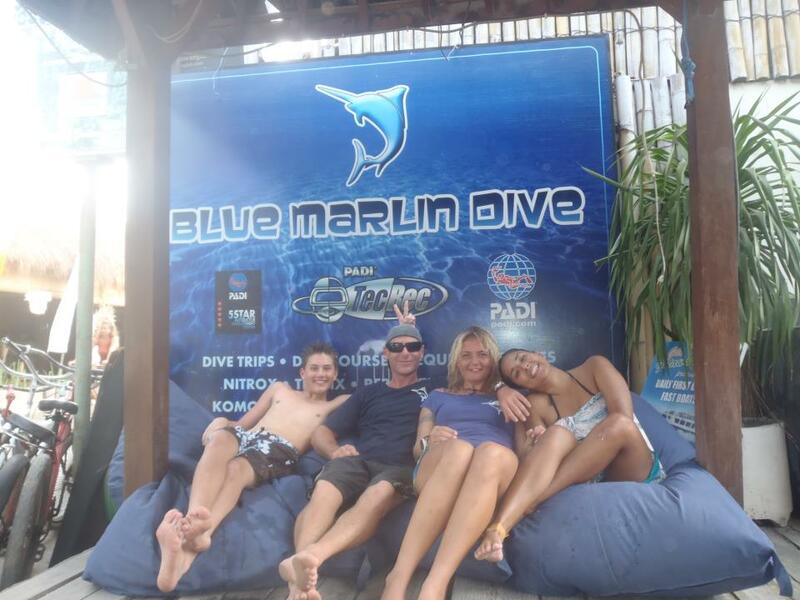 Doing fun dives gives you a good insight how a dive school is organised and I thought I will try three out of the around 15 in Gili T. My first fun dive I did with Blue Marlin Dive and it was an absolutely great experience. I didn’t need to try any other dive schools. I signed up for the courses and a few days later I started with the Emergency First Responder course. 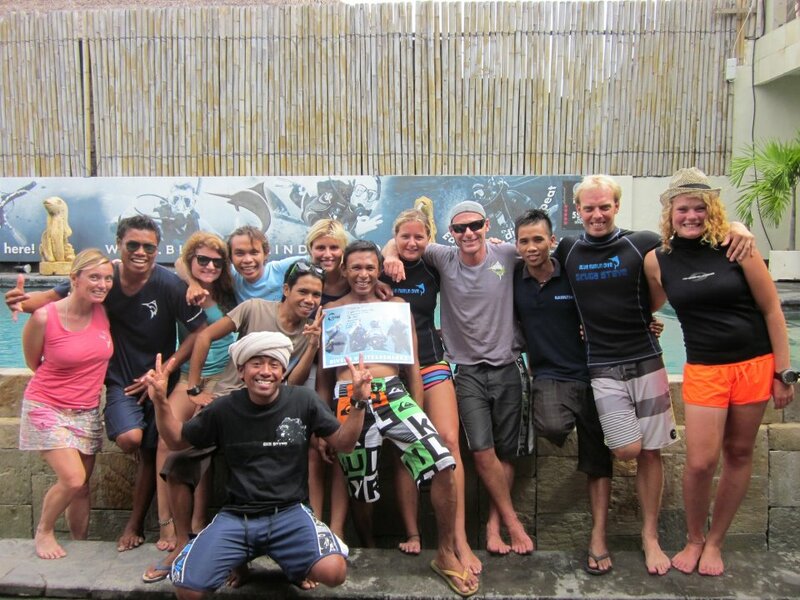 Instructor Ari was a great teacher in my Rescue Diver course, I trained with one other girl who also stayed to do her divemaster course and we had a lot of fun J I really enjoyed learning how to deal for example with a panicking or unresponsive diver. It gave me, not only confidence to handle dive emergencies, but a deeper understanding of dive theory in general. After a short visa run to Singapore, I was back in my new home – a beautiful, small house near the middle of the island. I live there surrounded by local families and this gives me a fantastic insight into Indonesian culture and their way of living. Guiding divers and assisting in courses is wonderful but doesn’t give me enough. I love to see people breathing for the first time under water, helping with difficulties and teaching others how to dive. I want to share my passion for diving, to live in a tropical environment, broaden my horizon, meet people from all around the world and travel to exotic places. 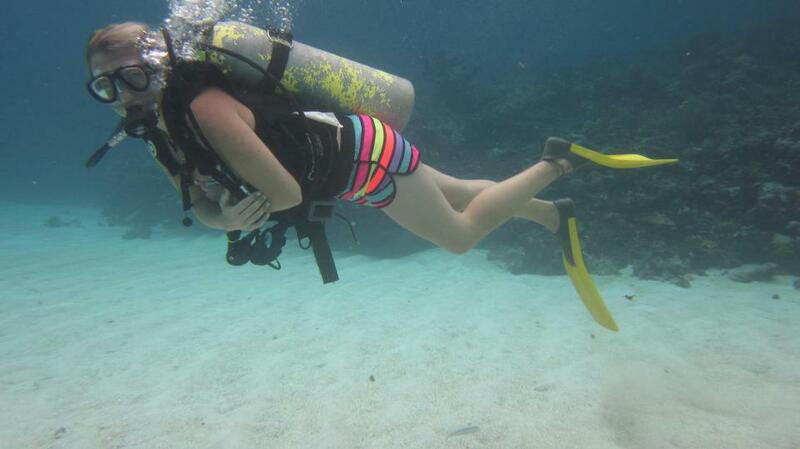 Becoming a Dive Instructor is a way to make my dream come true so here’s on to the next chapter!